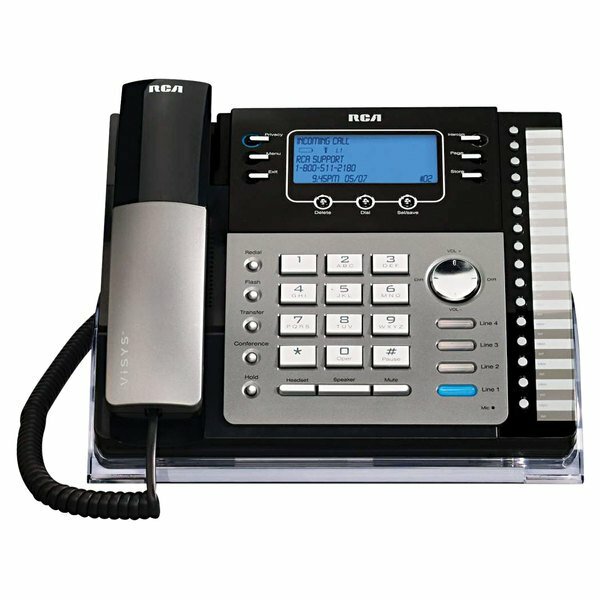 Offer multiple lines with this RCA 25425RE1 ViSYS 4 line black / silver corded phone with digital answering machine and caller ID. The phone has 4 lines making it perfect for small to medium sized businesses. It features an answering system with call screening/intercept features to bring important calls to your attention while recording messages when you are busy. Ensure that your callers receive the best experience with personalized memo recording and voice prompts. Prioritize calls based on date and time stamp of receipt, or access your messages remotely for added convenience. The answering system can store up to 60 minutes of recorded messages. This telephone system can be expanded to up to 16 additional base stations. Each phone also has a speakerphone making it perfect for hands free calling or typing notes during a call. Take advantage of the three-way conferencing feature to collaborate with remote contacts. Hold and mute features can be used to manage multiple calls while also addressing face-to-face situations. 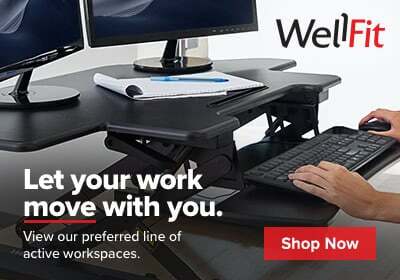 Additionally, this base station can be paired with an accessory handset for added versatility. It will retain up to 94 speed dial settings in memory and the Caller ID displays name and phone number of the incoming call so you can greet your callers by name.